Kylie Jenner Lip Kit Review! Hello! And welcome to your 67185th Kylie Jenner Lip Kit Review! But seriously this one will be different: I promise. (Probably). When I started following the Kardashian/Jenner family a few years ago, I didn't really give Kylie much thought. Her older sisters were already settled in their style and personalities and with Kendall having massive success in the modelling industry, Kylie kind of just seemed to be sub par. Oh - how wrong I was to think that. Because although the other Kardashians have Instagram/Twitter etc. they weren't as active or sharing as they could be. The only sister who was really showing a lot of her life and self was Kylie, so I followed her mostly just because she seemed to be most active on most platforms. It didn't take long for her to win a place in my heart, with her stunning pictures on Instagram and lovable display of character on Snapchat, and when she started advertising her own lip products I was naturally intrigued. I did some research after the first kit dropped and decided that I would try to get one, as everyone was giving them raving reviews and they did look amazing. 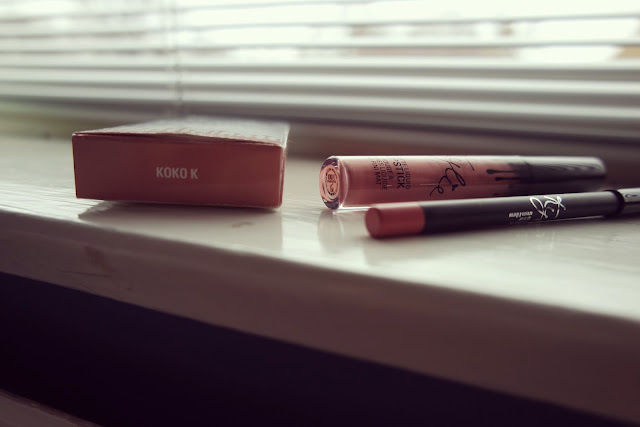 I decided to start with Koko K (which arrived a couple of weeks ago) and I have been trialling and loving it since. Ordering and Delivery I downloaded Kylie's app so I would know when the next drop would be (luckily I didn't need to pay to access this part) and when the drop came around I was ready and waiting. I got Koko K into my basket, made the order and then went back to the site to see how they were selling. Suprisingly there were still quite a lot of shades left and if I hadn't been short for money I may have ordered another! My order was made on 29th February, was shipped in 2nd March and was with me on 8th March. I was expecting up to two weeks for delivery so when I received it within ten days of ordering I was really pleased. Packaging Come on, it's Kylie Jenner, of course the packaging is going to be dope (as she would say). But it honestly does add to the whole experience and the packaging for the products themselves is slick and simple with Kylie's signature dominating the design. I have to admit that my single kit that I purchased looked kinda lonely in the main box (which is designed to take all of the shades) but the handwritten note included was definitely a nice touch. First Application As is the rule, I applied my first trial of the products within 5 minutes of opening the packaging and, if I'm honest, I was pretty sure I knew what to expect. The lip liner is smooth and applies really nicely with the lip gloss going on just as smoothly (it 'glossed on' one might say (sorry)). 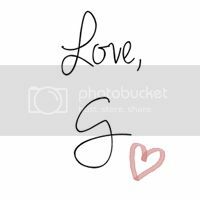 I started off by applying a thin layer of the gloss and then built it up a little if it needed it, but a little of the product does go a long way. A lot of reviews I've seen comment on the strong scent of the gloss and most said that it was either too strong for them or that they didn't love it, but could deal with it. To me, it smelt like Flumps! And once dry on the lips you can't smell it anyway, so no big deal even if you don't like vanilla marshmallows. 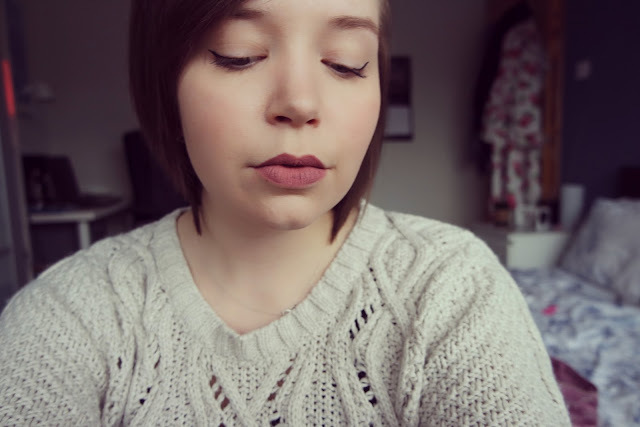 The colour was darker than I was expecting and I was glad that I had gone for the lightest shade, as I wanted something which I would feel comfortable wearing in the day too. The product also dries darker and once dry, it sits nicely on the lips and, honestly just makes you feel like King Kylie herself. I'd say that Koko K on the lips looks similar to the tone of Velvet Teddy, so a really classic Kylie colour. It definitely didn't look as natural as I was expecting but I knew I could make it work. Wear I wore Koko K for the first time on a day out in London and had no complaints. As has been described in multiple other reviews, the formula is light on the lips and sits remarkably well with only minor fading after eating and drinking. I did reapply after lunch as I wanted it to look perfect all day but I think I could have gotten away with leaving it. 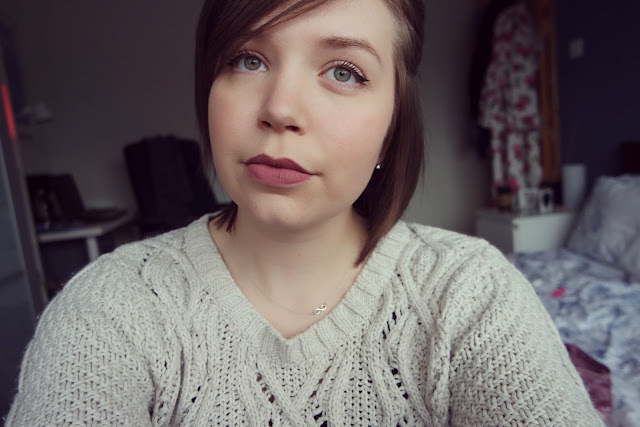 It was a little flaky where my lips were dry (which is to be expected with any matte product I think) but it was much lighter and forgiving than other matte lip products I've tried. The majority of the reviews out there emphasise how light the product feels once applied and how it feels like you're "wearing nothing at all" (which just reminds me of Ned Flanders). I wouldn't go so far as to say that you forget you're wearing it as there is some tackiness between the lips when talking but it's definitely very comfortable to wear. End of Day This, for me, is the most important part: yes it lasted all day, but will I have to crack out a belt sander just to get it off my lips? The answer for this product - no. Definitely not. It came off as easy as it went on and that's why it's a winner for me. Overall, I'd give the product a 9 out of 10. I love that it's one of Kylie's designs and the colour and longevity of wear is amazing. It definitely lives up to the hype, I think, and although some reviews are a little superlative in their description I'd say it's a product worth investing in. Do the Kylie Lip Kits appeal to you? Which shade do you think you'd love? Give me some ideas! Ooh exciting! I really need to get more...I'm sure you'll love them! 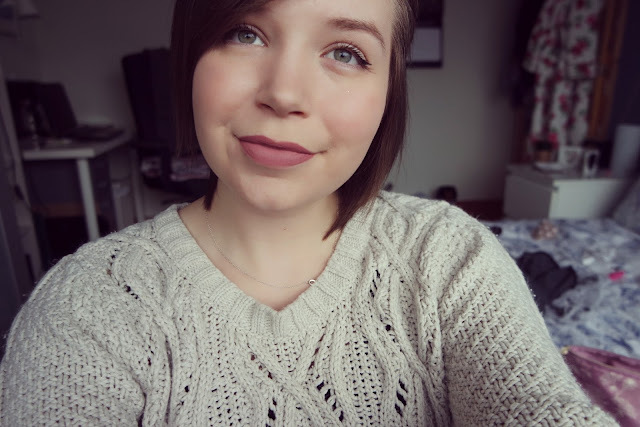 The Liebster Award: More About Me!